As a WTF blogger they send me the fabric of my choice to make into something beautiful! I have managed to create some beautiful makes with their fabric over the past 6 months. 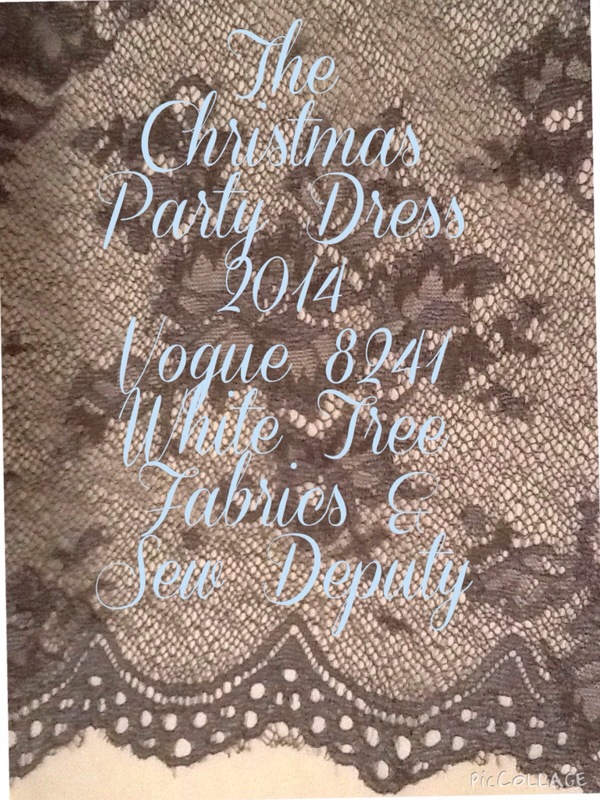 This post is slightly different as I asked WTF if I could make a party dress and do a sew along. 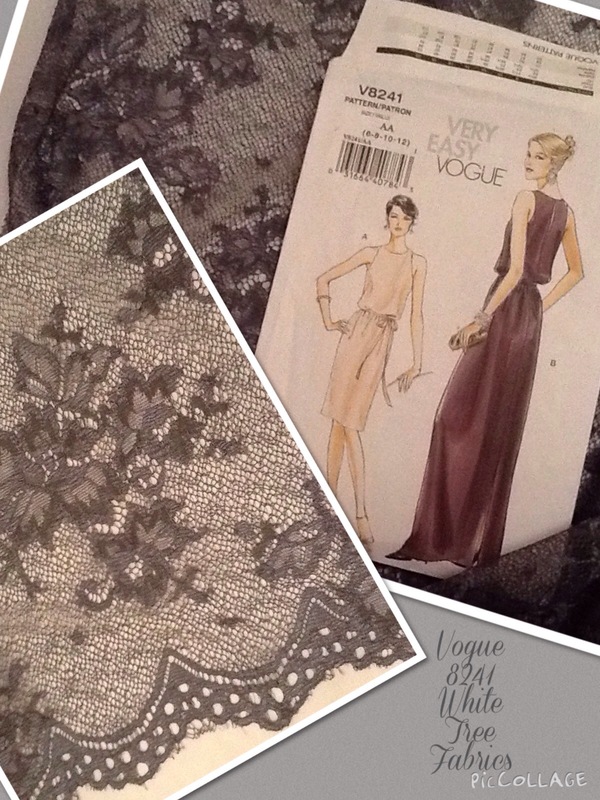 I offered some ideas and with Lisa and her ability to network we came up with Vogue 8241. I was delighted when this fabric and pattern were chosen as it is an easy pattern with a lining, which works well with our fabric choice. 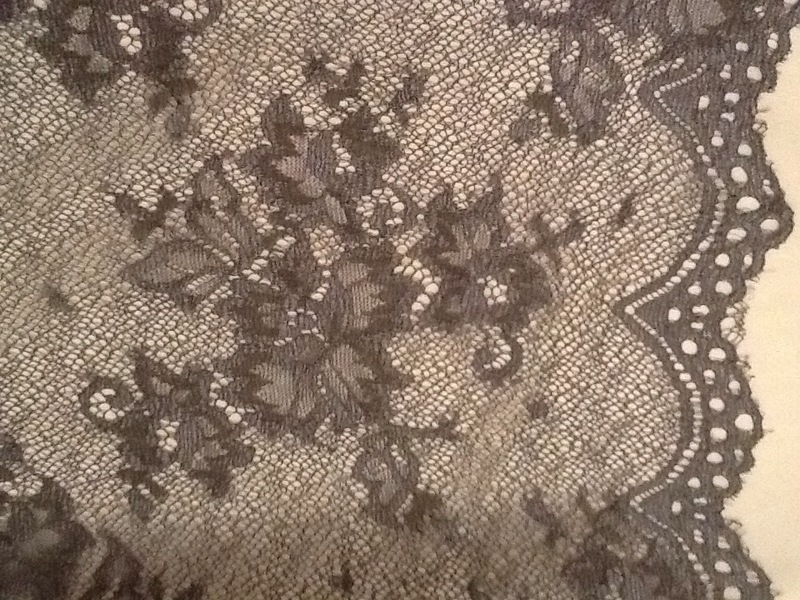 This is a vintage lace in a sapphire grey. It has a slight stretch and is absolutely beautiful. 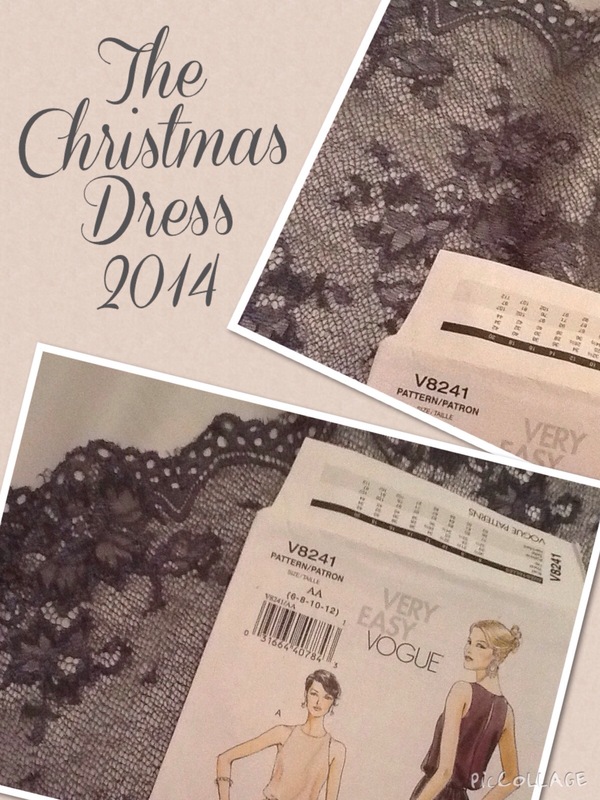 It will not need a hem due to the lovely scalloped edge, which will make it an easy sew for us. Hope you are going to join in. You can buy the kit directly right HERE! 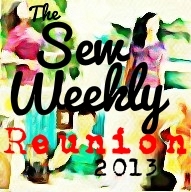 Once you have your kit you need to cut out the pattern to your size and look out for my next post! Ooooo! another dress! I can’t wait, I love your dresses cos there’s always a story behind them, and a name! It takes you straight to where the kit can be bought but it took a bit of finding so might be helpful to those who want to join in. We’re having Christmas in Mexico so I might be a bit hot in a lined frock, but if I get a good tan I could have an unlined version! Not!!! Haha! Excellent! I love it! It’s very Downton! Just a shame I am not a size 6 as it would look stunning then! Vogue models and all that! Who wants to look like an ironing board?!? Are they putting an actual ‘kit’ together for it? Yes, I am just about to add the link! Yes, I have photos of a cafe in palma I want to recreate! Had a home interiors part too. So cafe, interiors, sewing???? Perfect!